This weekend, during the 84th Annual Academy Awards, fans will have the chance to join comedians in a ‘digital dais,’ tweeting their best jokes and tracking comments about the broadcast. William Shatner, Pamela Anderson, Bob Saget–for Hollywood celebrities, being the subject of a raunchy, offensive, uncensored Comedy Central Roast is often a rite of passage. For viewers, celebrity roasts are a chance to watch comedians and others in the entertainment business tee off on their favorite stars. The roast of Charlie Sheen drew 6.4 million viewers, almost twice the audience of previous roasts of Donald Trump and former Baywatch star David Hasselhoff. Now the folks behind TweetRoast, a social media-based platform delivering Tweet-based Roasts, are hoping to allow fans to become part of the dais. This weekend, during the 84th Annual Academy Awards, fans will have the chance to join comedians in a ‘digital dais,’ tweeting their best jokes and tracking comments about the broadcast using the hashtag #TweetRoast. Of particular interest to any aspiring comedians out there, the amateur roaster with the funniest Tweets of the night will be asked to join the official dais during the next event. Tweet Roast is the brainchild of Pittsburgh-based technology and marketing agency Fireman Creative, in conjunction with a New York-based film and television production company. Two of the biggest stand-up comedy websites, The Laugh Button and LaughSpin will sponsor the launch of the inaugural event. “We really want to give fans the chance to interact with celebrities and video programming in new and different ways. 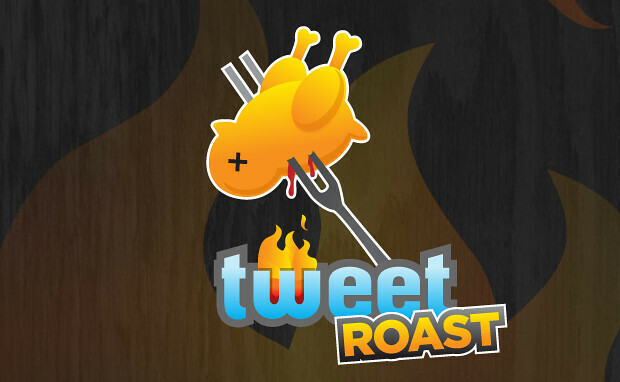 First and foremost, we hope Tweet Roast is a hit for our users” said Paul Fireman, founder of Fireman Creative. “We’re also hoping the platform may prove to be a launching pad for new talent, as one lucky fan will be invited to serve as a guest roaster on the next Tweet Roast” Fireman added. With traditional broadcast television viewership taking a hit from the rise in popularity and availability of on-demand streaming video, new offerings such as Tweet Roast just might be the way to keep their audience engaged. Find Shawn at shawngraham.me or connect with him on Twitter.